1899. Tricycle. Exhibit at Glasgow Museum of Transport. 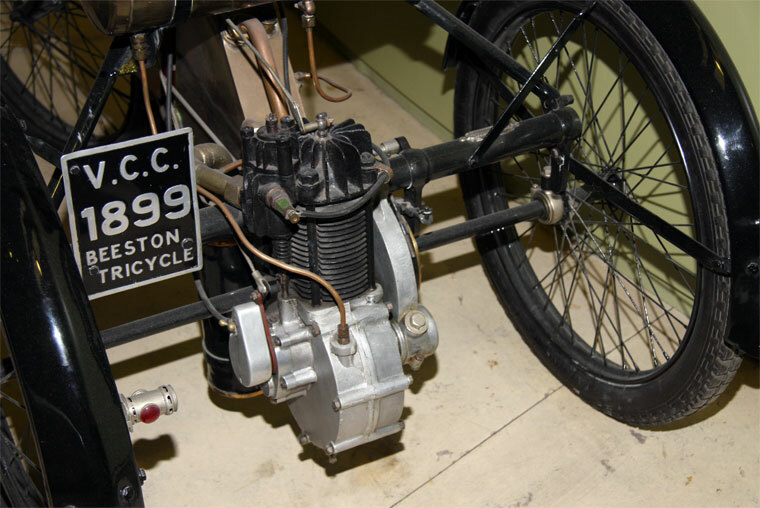 of Coventry, manufacturer of motorcycles. 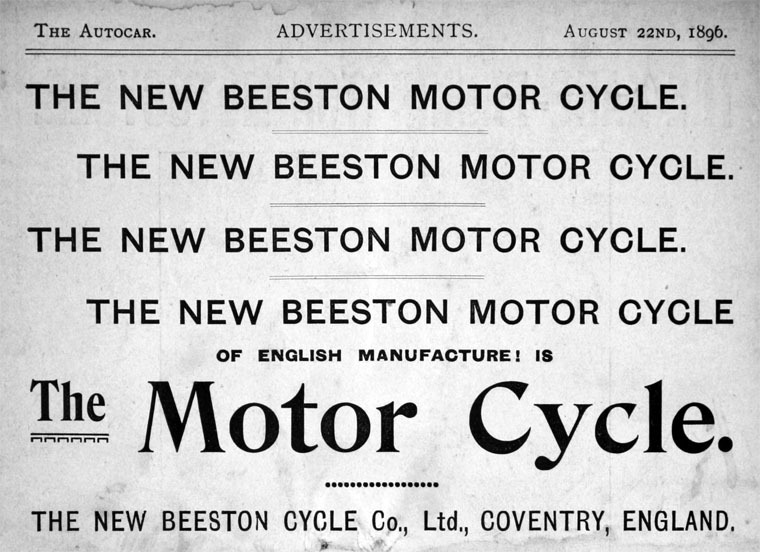 1896 The New Beeston Cycle Co was formed by Harry Lawson; the first works to be taken over would be Quinton Cycle Co. In a P.S. to the announcement, Lawson said this was the last Cycle Co that he intended to be connected with. 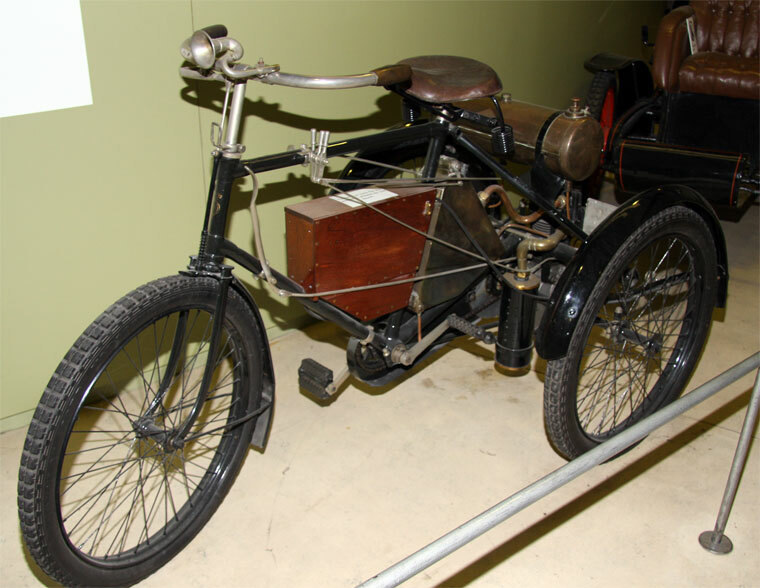 First motorcycle produced by an English factory. 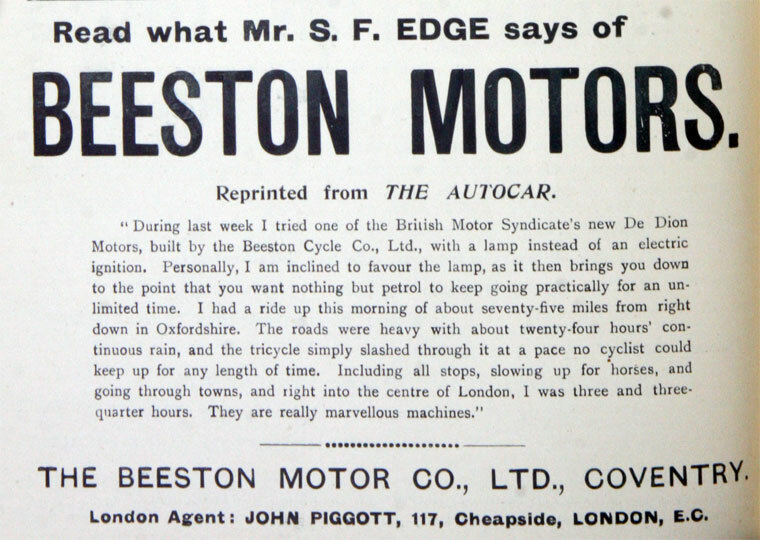 Claimed that the British Motor Co had acquired 70 patents related to motor vehicles. 1896 Reynold's Newspaper pointed out that there was a boom in new companies asking for large amounts from the public but which received very much less in actual subscriptions; examples were given as the Great Horseless Carriage Co and New Beeston Cycle Co.
1899 J. W. Roebuck gives talk to the Coventry Engineering Society. This page was last edited on 7 April 2015, at 13:50.